Step1 - Combine wine, garlic, lemon juice, peppercorns, water and bay leaves in a saucepan, and bring to a boil, reduce heat. Step2 - In the left liquid, boil for three minutes and peeled shrimp and squid for just cool. In the same way, put in the fridge. Boil the onions, carrots, and celery in the same liquid for several minutes. Drain marinade, cool vegetables. Heat the grill and Fry octopus for about ten minutes and cut it. Step4 - Combine with other ingredients and orange juice. Leave for twelve hours marinating. 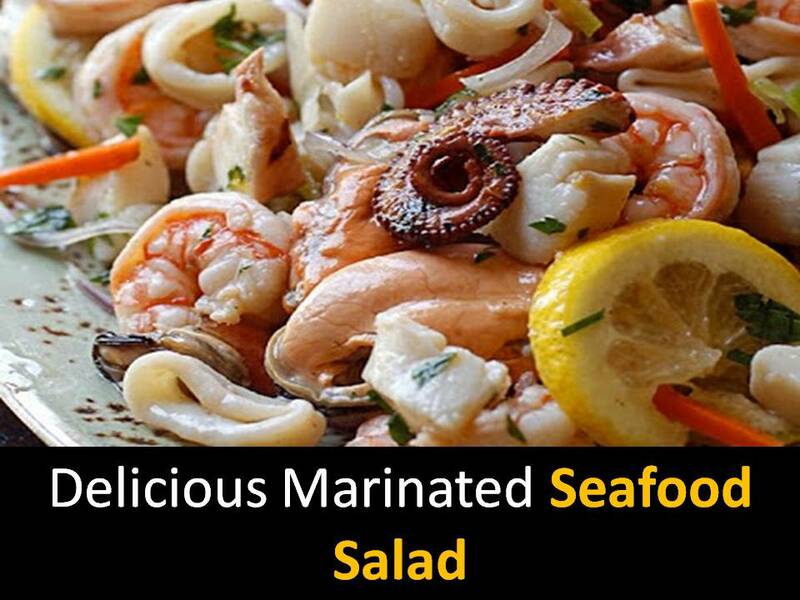 Add pepper and olive oil to marinated seafood salad.